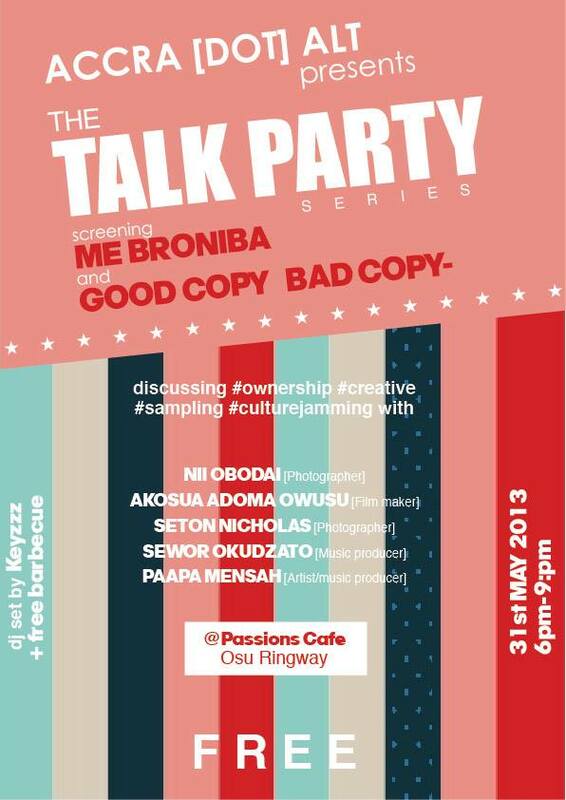 This month’s discussion is the follow-up to our March Talk Party which explored critical copyright information every creative entrepreneur should know. This time around, we’ve asked a number of innovative folk to join the conversation and sound off on copyright and culture jamming. Contributors: Lee Bass [of Gato Preto], Nii Obadai [photographer], Attukwei Clottey [visual artist], Paapa [musician/music producer], Akosua Adoma Owusu [filmmaker], Sewor Okudzeto [music producer], Seton Nicholas [photographer], Samuel Darko [Spinlet] and more! Has copyright gone too far or not far enough? Is sampling a creative art or a form of theft? 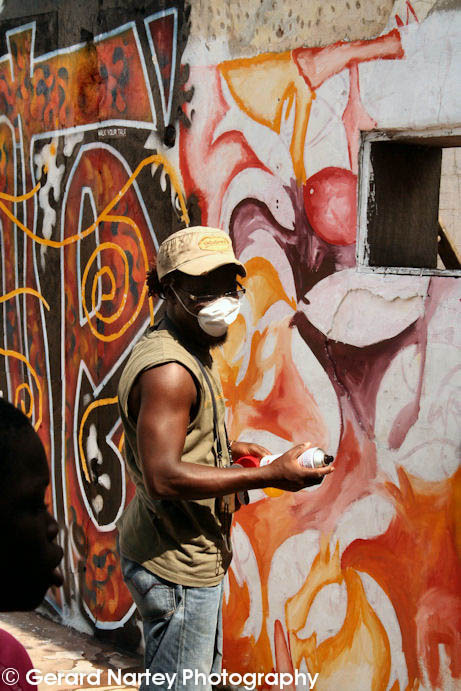 Can sampling be used to create a subversive movement – across Africa or right here in Accra? 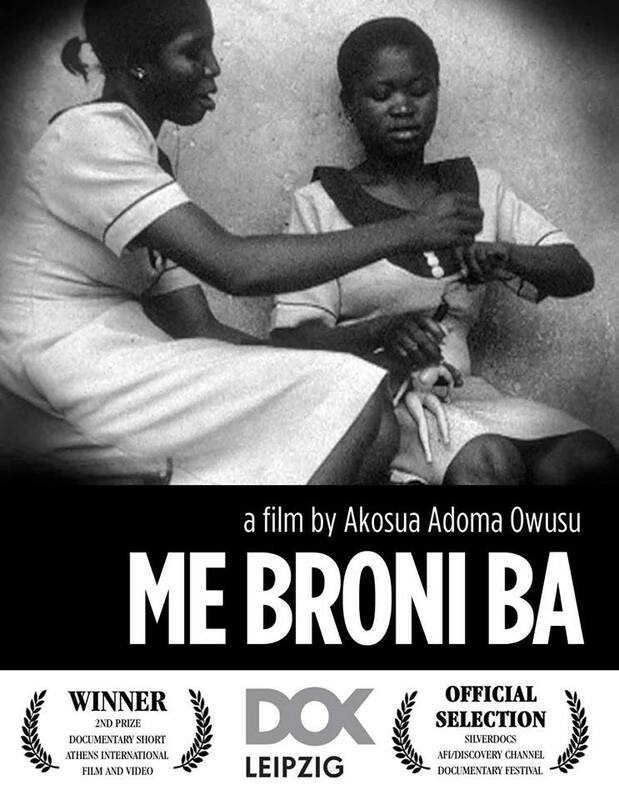 We’re also pretty amped to screen the brilliant experimental film MI BRONI BA by Akosua Adoma Owusu. Live music madness by Rumor and Drunk Beggar Thief. Free Barbecue. Bring all your friends out moro!